AirPortr, the airport luggage collection company has launched a doorstep check in service exclusively with British Airways which allows BA passengers to check in luggage from home from any London address straight onto their flight. 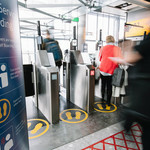 TripReporter reviewed the AirPortr service earlier this year this new partnership with British Airways to chech in luggage from home is a logical development and a welcome one for for London based passengers who can enjoy the convenience of getting their bags checked in and avoiding the airport queues. To check in luggage from home, prices start from £30 from central London for the first bag with an additional cost of £10 per additional bag. 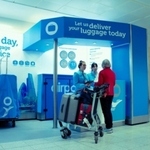 For further information on AirPortr + Bag Check In please go to: airportr.com/ba.